Just got mine in the mail from hookahcompany.com. I've only used it a couple of times, but I absolutely love it. It smokes great, and it keeps the juices from getting my hookah dirty. I really love this, because one of my hookah pipes is shaped like a crane with a curvy neck, and it's hard as hell to clean. 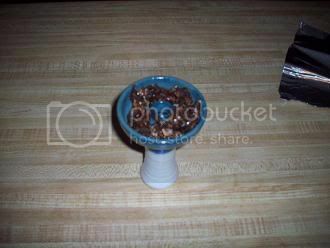 By the way, only use juicy tobacco like Al-Fakher with this bowl. If you don't have any, mix molasses or honey with the tobacco first. 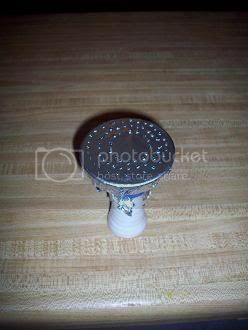 Don't poke holes in the middle..
Do you have a phunnel too? wow after reading this i think ima have to buy one. This would be good for my al-Waha. The stuff is swimming in glycerin. Now I got a phunnel bowl about a month ago (its been a while since i've been on here!). Question: how much do you pack in the phunnel bowl? See, I've only used it about 2 times and got an okay smoke out of it.. so I must be doing SOMETHING wrong because I've seen reviews of the phunnel bowl saying how much of a smoke you can get out of it.. it would be nice if I knew the correct way lmao! What size is that funnel bowl? what size would you recommend? Have you tried that smileys funnel mod with it? I have both a small and medium phunnel bowl. I will never use anything else. I do poke one large hole in the center, makes for easier pull. The mod works great but is not needed like other people claim. the bowl smokes just fine by its self. I want to get one so bad. im ordereing one now lol. Its the best investment you will ever make. I've used a vortex, but never a phunnel, I understand like almost everyone loves them, BUT my question is whats the difference? Plus if I do get 1, what is the mod that just about everyone talks about, and how do you do it? A Vortex is a pre-Scalli modded Phunnel bowl in my opinion. I had a Vortex and then the spire broke in the center leaving me with a Phunnel, all I do now is take 2" wide by 5" strip of foil and fold it over making a little ring for the Scalli each session. Works FAR better than the Vortex EVER did. Big hits, big clouds, smooth draw.